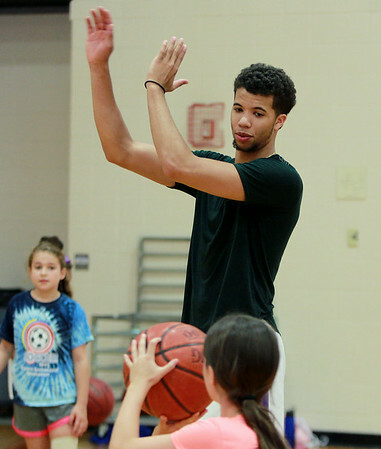 Michael Carter-Williams, a Hamilton native and guard for the Philadelphia 76ers, instructs campers on shooting technique during the MCW Basketball Camp held at Ipswich High School over a three-day span. DAVID LE/Staff photo. 8/14/14.